Come and enjoy the fun during the summer holidays at East Sheen Primary School! The Outstanding Ofsted rated Next Step Sport team will be running their great fun summer holiday activity days for 4-11 year olds at East Sheen Primary School. Dates are 23 July – 31 August for the summer holidays. 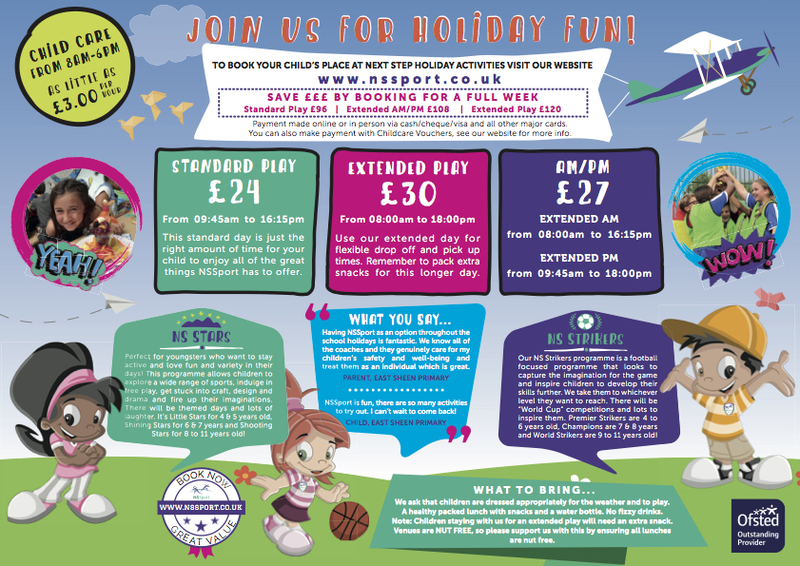 The team at NSSport are delighted to announce that they have opened a new venue in Ham: you can now book for these activities at Meadlands Primary School.